Let the first two questions hang in the air - they are very much the key to this reading. It is all about how hard it is for us, mortals, to have any idea about what God is up to. 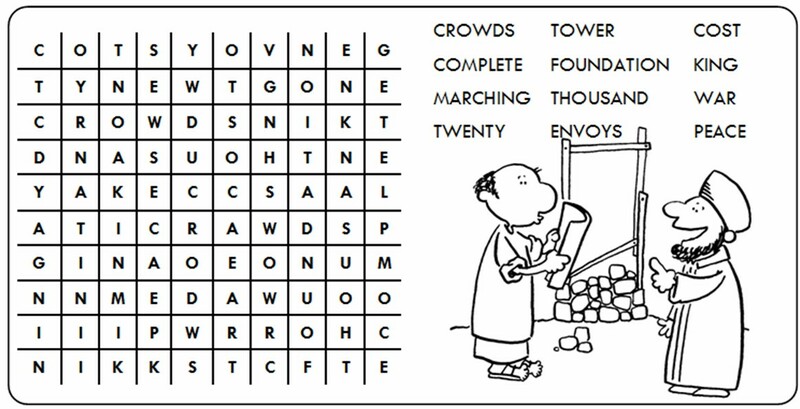 The reading uses lots of images to try and get this basic idea across - the images are poetic - so the reader should look for the key-words: for example: in line 6 is the wonderful phrase tent of clay - think about it! Its a great way of describing how we sometimes feel, when our minds wants to go soaring off somewhere, but our bunions or bad back bring us down to earth with a bump. Remember that the passage beginning As for your intention... is directly addressed to God. Pause before it, so that people have a chance to keep up with you. Be very careful with the last sentence, which is a mess: try this one out loud, so that it doesnt just come over as gibberish, but people realise that God is being thanked for his teaching and for salvation, both of which come through Wisdom. Second Reading: Philemon 9-10, 12-17. Its worth getting your Bible out and reading the whole letter, to get the context. Paul here writes a very personal, quick note to Philemon (a Christian), as he sends back Onesimus, a slave who has run away. Onesimus has become a Christian in the meantime, and so Paul asks his owner to welcome him, not as a slave, but as a brother. Bring out both the touching, personal side of Paul we glimpse in the reading, and also the way he uses this simple letter and event as an opportunity to teach very practically what Christian love is all about.